HACA and its nonprofit subsidiary Austin Pathways today (July 7) awarded 42 renewable scholarships totaling $80,000 to residents of its public housing and Housing Choice Voucher programs at its 17th Annual Austin Pathways HACA Scholarship Ceremony. HACA has awarded more than $1 million in scholarships since 2001. “We are proud to award scholarships to these 42 deserving individuals so that they may continue their education and pursue rewarding opportunities for themselves and their families,” said HACA President and CEO Michael Gerber. City of Austin Chief Information Officer Stephen Elkins announced that all HACA scholars would be loaned a de-asseted computer. The pilot loaner program is funded in part by The Grant for Technology Opportunities Program (GTOPS). 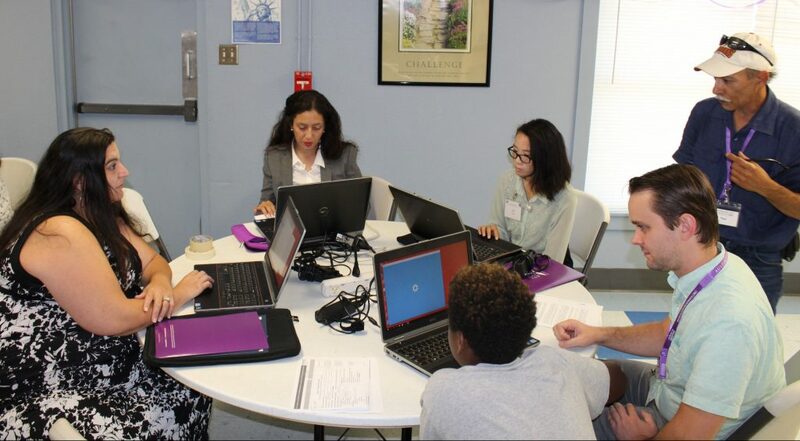 The City of Austin is loaning de-asseted computers to local nonprofits, including HACA, to increase digital inclusion in underserved communities. Currently, City computers past their service life go to a recycling center. Scholarship recipients range from newly graduated high school students to returning adult students and those attending college for the first time. Santa Rita resident Ndabitezimana “Sophie” Asifiwe represents nearly half of the awardees. She is the first generation in her family to attend college. Asifiwe will start at the Southwestern Adventist University in Keene, Texas in the fall, and aspires to become a nurse. Austin Pathways oversees and manages an endowment for HACA resident scholarships that originated with seed funding from HACA's nonprofit, revenue generating subsidiaries – Southwest Housing Compliance Corporation and Austin Affordable Housing Corporation. Annual fundraising through donations and grants allows Austin Pathways to maintain this endowment and continue to provide resident scholarships.